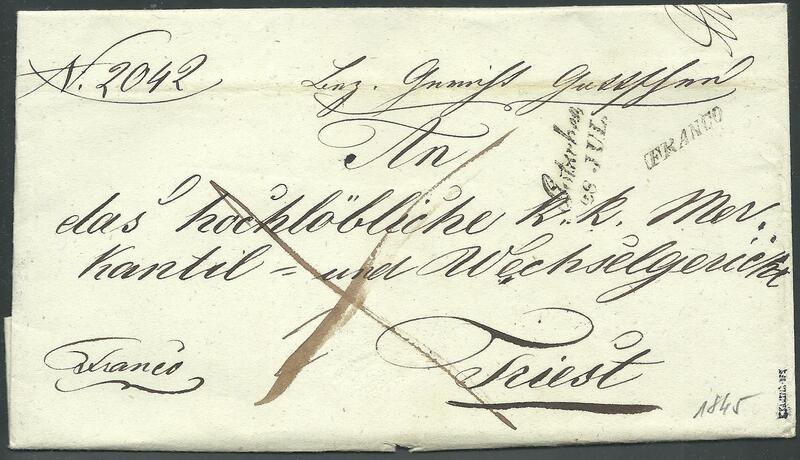 ,,Complete prephilatelic letter, sent from "Gotschee / 28. Jul." and "FRANCO" (Kočevje, 1845, Mü. 437.b) to Triest, signed Kajtna.